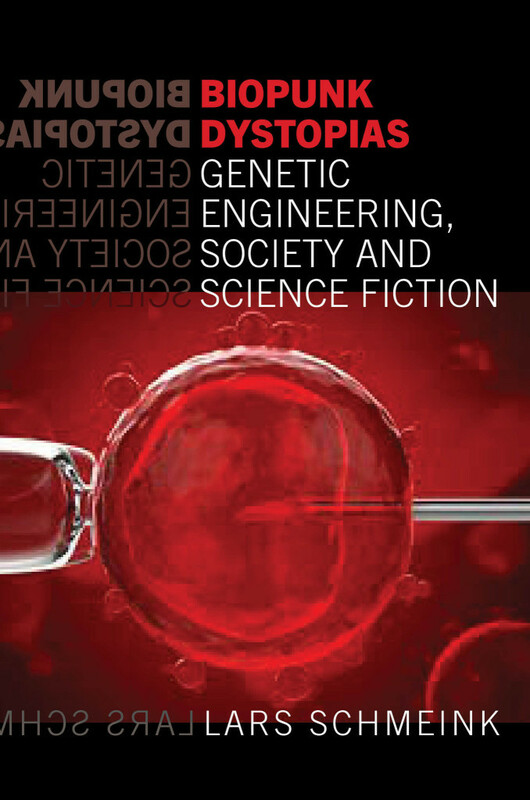 ‚Biopunk Dystopias‘ contends that we find ourselves at a historical nexus, defined by the rise of biology as the driving force of scientific progress, a strongly grown mainstream attention given to genetic engineering in the wake of the Human Genome Project (1990-2003), the changing sociological view of a liquid modern society, and shifting discourses on the posthuman, including a critical posthumanism that decenters the privileged subject of humanism. The book argues that this historical nexus produces a specific cultural formation in the form of „biopunk“, a subgenre evolved from the cyberpunk of the 1980s. The analysis deals with dystopian science fiction artifacts of different media from the year 2000 onwards that project a posthuman intervention into contemporary socio-political discourse based in liquid modernity in the cultural formation of biopunk. Biopunk makes use of current posthumanist conceptions in order to criticize contemporary reality as already dystopian, warning that a future will only get worse, and that society needs to reverse its path, or else destroy all life on this planet. As Rosi Braidotti argues, „there is a posthuman agreement that contemporary science and biotechnologies affect the very fibre and structure of the living and have altered dramatically our understanding of what counts as the basic frame of reference for the human today“. The book analyzes this alteration as directors, creators, authors, and artists from the field of science fiction extrapolate it from current trends. These theoretical considerations are important; but the real meat of Biopunk Dystopias comes in the discussions of particular representative works in the remaining chapters. […] All these chapters are dense and rich with insights. All the works discussed within them trace the consequences of Bauman’s liquid modernity on scales both personal and societal, and trace the emergence of political strategies of preemption, exclusion, and sovereign exemption. Each discussion engages thoroughly with relevant scholarship, from biopolitics to game studies to creature films and the horror genre. Together, they make a convincing case that biological themes are prominent in contemporary sf across media, appearing in works that are marked by a critically dystopian sensibility. An important intervention into the ways sf studies is done – it is no longer even remotely credible to treat sf as just a literary genre – and the strengths of this book makes that argument more effectively than any polemic about the transmediality of sf. For Schmeink, biopunk sf holds the promise of utopia by unlocking the doors of posthuman subjectivity and perception not only for humanity but for all varieties of living organisms. This is only the beginning, of course, both for the subgenre and the criticism that will define and refine it. … Biopunk Dystopias erects a solid infrastructure for future scholarship as well as fresh interpretations of recent texts for critics in the field. Biopunk Dystopias represents a substantial contribution to the field … . With the commercialisation of the life sciences continuing apace, the insights [of] this book will only become more pertinent over the coming years. I would highly recommend it to anyone interested in the mutated future rushing straight for us. A comprehensive, meticulously researched, and wide-ranging intervention in the union between genetic discourse and contemporary science fiction that has the potential to be very influential in the field. A ‚Biopunk 101‚ originally published in the SFRA Review. The book is available in hardcover via Liverpool University Press (LUP).